Welcome to our 3-minute guide to the most common Alpha boiler faults. This guide will cover all Alpha Innovation boilers. But, we find that the most commonly frequently asked questions relate to the CB24, CD28X, Intec 28X and CD28C. So, where possible, we’ve tried to include problems that are common on these boilers specifically. Before we start, you can get help fixing the problem with your Alpha boiler here. Or, if you’re sick of sinking cash into an unreliable boiler, you can investigate the cost of a new one. We’d recommend checking out BOXT (part owned by Bosch). They offer fixed prices on Worcester boilers from £1,795 via their 90 second clickable installation form. The most problem with Alpha boilers is red/yellow lights appearing on the display. Depending on which light is flashing, and how, will determine what the problem is. Either way, there’s a good chance you’re seeing a 47 fault code displayed on the boiler panel. When the A indicator is a solid red, this indicates that the burner has failed to light. For a simple reset, Alpha recommend rotating the switch on the front of the boiler to position 3 (reset sequence). After 25-30 seconds the boiler will attempt to restart. If the burner still won’t light, there’s a good chance it’s blocked with debris. Get a Gas Safe engineer to inspect and clean the burner. When the red flashing light is the A indicator, and the yellow is on the B indicator, the scenario is different. This indicates that the burner has failed to light. 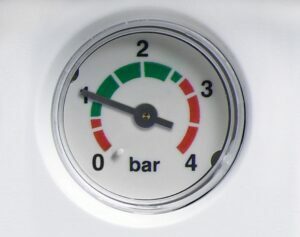 Like when only the red light appears, the boiler can be reset by setting the dial to position 3. However, there’s likely more to the fault than a simple reset; the problem becomes a little more complex. The burner could be blocked with debris, or faulty. It’s advisable to have a heating engineer inspect the burner. If the (A) light is red, but the (B) light is showing nothing, the problem is with the overheat thermostat. The boiler will show fault code 2 or fault code 25, and then lockout. You’ll really need a boiler engineer to help diagnose the problem. An engineer will run the necessary visual and electrical tests to determine what the exact problem is. Does it have power? Are the power lights on? Is the fan operating before the boiler tries to ignite? Does the boiler fire up? After firing up, does the boiler stay operational, or cut out? These are all separate issues. If your Alpha boiler problem is none of the above, there’s a good chance the diverter valve is to blame. This is emphasised more if you have no hot water, but your heating works. On some occasions, a stuck diverter valve can be freed. But, if your boiler (and therefore, the diverter valve) is old; it’s worth considering a replacement part. 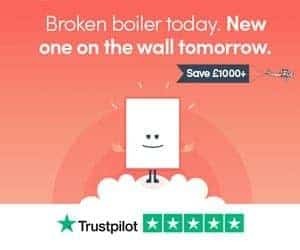 If the boiler is over 8-10 years old, due to the price of the diverter valve replacement (upwards of £350 including parts in many cases), a new boiler is a better option. Are you constantly having to top up the pressure on your boiler? If so, there’s a good chance that the Alpha E10 fault code is being displayed on your boiler’s display panel. This fault code signifies that the boiler has lost pressure. And, now the pressure is too lower for the boiler to operate safely. In general, expect a lockout and E10 fault code to be displayed when the pressure drops to 0.6-0.8 bar. Boilers that lose pressure, link directly to a heating system leak. This isn’t always a leak on the boiler. Everything from expansion vessels, pumps and radiators can leak. And, a pressurised system will translate any loss of water, into a loss of pressure. So, you can top up the boiler’s pressure and reset to clear the fault code. But, where is the leak? Depending on where it is, it could be causing damage to your property. We’ve created guides on boilers that lose pressure, as well as boiler leaks. Read through those guides and depending on the amount of pressure loss, you’ll have a reasonable route to fix the problem. #6 – Hot Water Isn’t Hot! Another common problem with Alpha boilers is hot water that, well, isn’t hot. The NTC thermistor (or thermocouple) on your Alpha boiler, monitors temperature. As water hits the desired temperature (set by your thermostat), it tells the boiler to switch off, or stop heating water. If the NTC thermistor is faulty, it won’t be sending the correct signals. Water can get too hot, but typically, it fails to reach the temperature set at the thermostat. If electrical tests show the NTC thermistor as working correctly, the likely cause is a hotspot on the central heating pipes. This can be caused by dents or bends in pipes, or by centralised limescale build-up near the NTC thermistor. The increased heat around the thermistor makes the sensor think the average temperature of water, is much higher than it is. So, it shuts off the boiler, before your hot water is actually hot. A boiler engineer will test the NTC thermistors to check they are producing resistence readings correctly. If they are, it’s likely that limescale needs to be removed. This can be done by replacing sections of offending pipework, or a hot flush. Alternatively, if the build-up is on the thermistors themselves, these will need to be cleaned or replaced. Thanks for reading our 3-minute guide to the most common Alpha boiler problems, and fixes. Ready to get your Alpha boiler fixed? You can get help from boiler engineers here. Sick of your Alpha boiler, and want a dirt cheap Worcester boiler installed instead? Visit BOXT and get your price online. Leave us a comment below and we’ll answer as soon as possible.